The McKnight Center for the Performing Arts is excited to announce its second concert series in February 2019 — The McKnight Chamber Music Festival — TICKETS ARE ON SALE NOW! In anticipation of its October 2019 grand opening, the McKnight Center for the Performing Arts presents its second Chamber Music Festival, a touring series of intimate performances by renowned musical artists taking place Feb. 25 - March 3. The festival will visit Tulsa, Oklahoma City, Dallas and Stillwater and will include performances by Grammy-nominated members of the St. Lawrence String Quartet and internationally known pianist Anne-Marie McDermott. The festival will culminate with a free community concert at OSU's Seretean Center on the Stillwater campus, with a program featuring well-known music by Beethoven and Mozart. "We are thrilled with this year's lineup for the Chamber Music Festival," remarked Mark Blakeman, the McKnight Center’s Marilynn and Carl Thoma Executive Director. 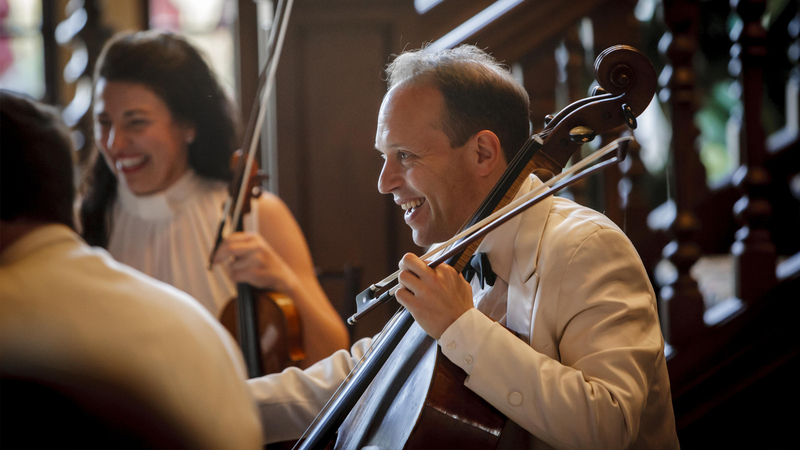 "Our inaugural 2018 Chamber Music Festival was huge a success with attendees enjoying the intimate concerts, and we look forward to bringing this year's stellar lineup to chamber music lovers across the region. As we draw closer to the McKnight Center's October grand opening, events such as the Chamber Music Festival serve as a beacon for the Center and the high-quality performances it will offer Oklahomans." Four of the five festival performances will be soirées. These intimate concerts will be hosted in the homes of prominent Tulsa, Dallas and Stillwater music enthusiasts, one of which was featured in Architectural Digest. Each soirée will include a lively cocktail reception and catered dinner. “This second annual Chamber Music Festival offers a unique cultural experience and demonstrates the potential of the McKnight Center for the Performing Arts to connect our campus, our region and the national fine arts community,” OSU President Burns Hargis said. A night of composer Joseph Haydn's most beloved classics featuring performances by Anne-Marie McDermott and Tara Helen O'Connor. For more information about the McKnight Center, contact Robert Sweibel at rsweibel@McKnightCenter.org.